Spruce up your food table with these printable VERY HUNGRY CATERPILLAR food tents. You'll received 18 different food tents; one for each food the caterpillar eats! Your files will be available for you to download moments after your payment clears. Simply print, cut out and fold! 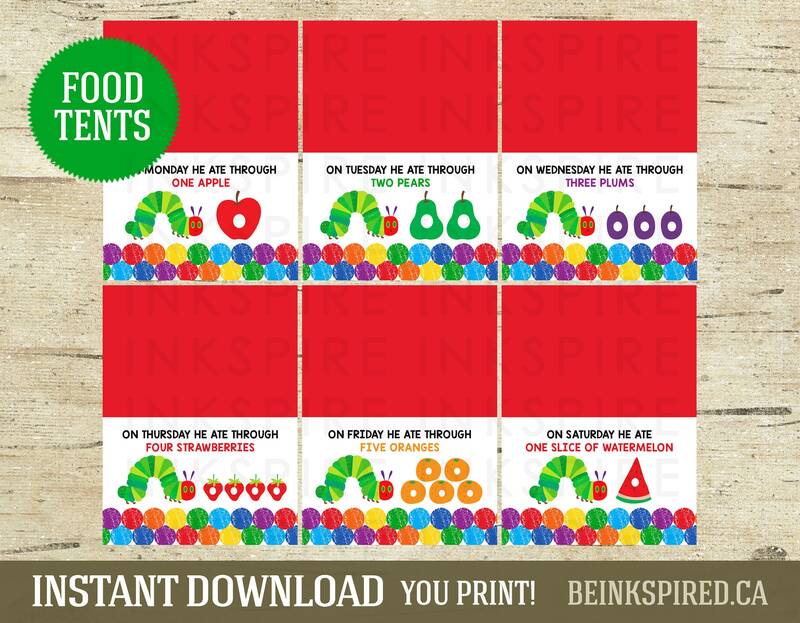 Wild One Food Tents - Printable DIGITAL FILES - Tribal Birthday Party Food Labels - I'll Edit For You! Up to 16 Tents! Wild One Pendant Banner - INSTANT DOWNLOAD - Printable Tribal Happy Birthday Garland - Letters, Spacers & 1st-5th! Wild One Month by Month Photo Banner - INSTANT DOWNLOAD - Printable Tribal First Birthday Bunting - Newborn to Age One!